“Where do you wanna go? / ’Cause we could go anywhere,” Super Furry Animals frontman Gruff Rhys vows in “Where Do You Wanna Go?” on the band’s new record. SFA makes good on this promise. With a sprawling soundscape and off-the-wall lyrics, Dark Day/Light Years is a quite trip—often in more ways than one. Though the majority of the tracks have psychedelic roots—the frenzied guitars and wailing in opener “Crazy Naked Girls” set this tone—they’re layered with more conventional rock (“Mt”) and dance music (“The Very Best of Neil Diamond”). Accompanying lyrics meander from one absurd topic to another: “Helium Heart” determines what purpose the chin serves (“to hold a grin,” of course, and “the tongue can taste the vegemite”); the meanings behind song titles “Moped Eyes” and “Inaugural Trams” are never quite made clear. But a healthy dose of nonsense, especially when it provides such thorough escapism, certainly never hurt anyone. 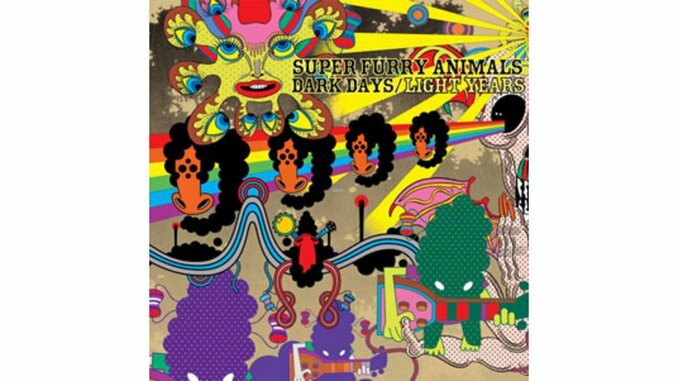 Listen to Super Furry Animals on MySpace.